Delinquent, daredevil, and a Runner with a dark past. 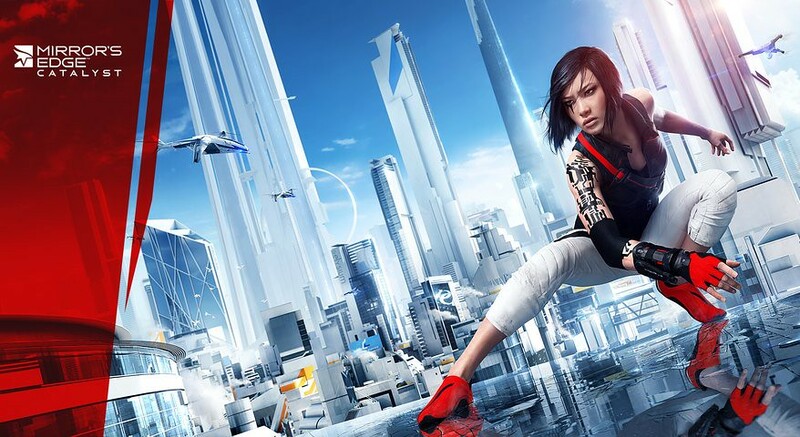 This is the story of Faith, one of the most skilled Runner in the city of Glass. She was traumatized as a child by the loss of her family when they were killed in a riot. Noah, the leader of a Runner's lair, saved her and mentored her as his own to be a Runner. After she is released from juvenile detention, she gains Noah's trust to obtain information from the Elysium building. But soon, her past will soon catch up to her and she must learn to stand up against the Conglomerate. "Thanks to the Frostbite engine and a new generation of platforms, we are now able to deliver a richer world that players will be able to explore with a new level of freedom in both movement and action"
EA has also announced that they are roping in Swedish composer, Solar Fields to create the soundtrack of the game. You can check out his interview here. Judging by the the details in the trailer, it is set to be a high action packed game and the game is set in a futuristic world where "Runners" are informants that have to avoid being detected by government surveillance in order to deliver key information. It features parkour movements around the city and mainly focuses on using the physical abilities of the character. That means, not so much of using weapons but more fists and awesome kicks. Also, as seen in the trailer, players will be able to tumble, slide, climb and even crash into glass. Sounds crazy fun, I know. The game is up for pre-order at $69.99 and you can sign up for the Closed Beta now! It is available on PS4, Xbox One and Origin for PC. Also if you're interested in more content after mastering the city of Glass, EA has provided a Combat Runner Kit or a Speed Runner kit. The Combat Runner Kit has unique in-game items, different projection shader, a Runner Tag on the leader boards and a unique background for the Screen Hacks while the Speed Runner kit focuses on the speed of the players skill.